"We would stay on track. We should convince people that important values and principles are not just entertainment. And we would win in this struggle," Mr. Arseniy Yatsenyuk said, founder of the Open Ukraine Foundation, Prime Minister of Ukraine (2014-2016), when closing the 12th Kyiv Security Forum on April 12. He noted that the political establishment - and not only in Ukraine, but also all over the world, "had found itself in a completely different world, faced new challenges and different approaches to politics." 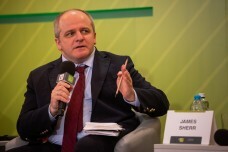 The world political class, the founder of the Open Ukraine Foundation stressed, needs to find "ways to reach every citizen", - both in Ukraine as well as in the United States, Great Britain. "History repeats itself. And now we have the strength to avoid drama, because we are almost on the verge. At least - on the verge of crisis. If this is a crisis, then I can agree with that as an anti-crisis manager. The crisis at least offers opportunities. But if this is a drama, let's do everything to avoid it," he said. He also underlined that he "remains optimistic" on the future of our country. "Currently, we have faced challenges, or crises, options or opportunities. And we have to respond them. For the sake of Ukraine and the prosperous future of every Ukrainian," Mr. Arseniy Yatsenyuk emphasized. "We would stay on track. We have to follow our own way. We should convince people that values and principles are important, this is not just an entertainment. These are important things that related to the life of everyone", he stressed. "We would win this fight. We have to pursue our own path, and our path is democratic, effective, professional and pro-Western," Mr. Arseniy Yatsenyuk stressed. 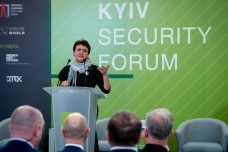 This year's Kyiv Security Forum, which took place on April 11-12, had gathered a record number of participants - over 1,000. Among them are high-ranking officials of Ukrainian state and state leadership, diplomats, and representatives of expert community from over 20 countries. 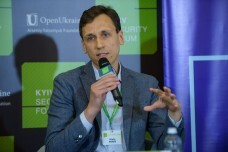 More news from the Kyiv Security Forum: http://ksf.openukraine.org/ua. 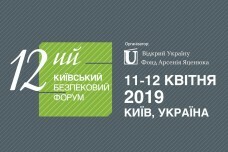 The Kyiv Security Forum was established by the Arseniy Yatsenyuk Open Ukraine Foundation in 2007. 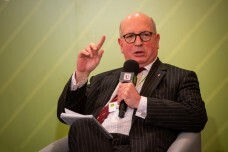 Since then, the Forum is an annual event that acts as a platform for high-level discussion on relevant matters of national security as well as security in the Black Sea region, Europe and the world.